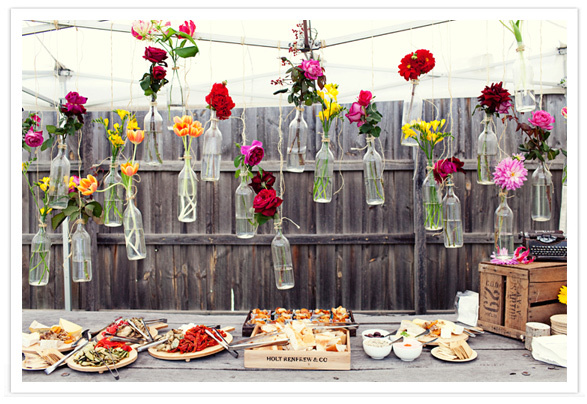 All you need are some glass bottles, rope, flowers, and an aparatus to hang items from. 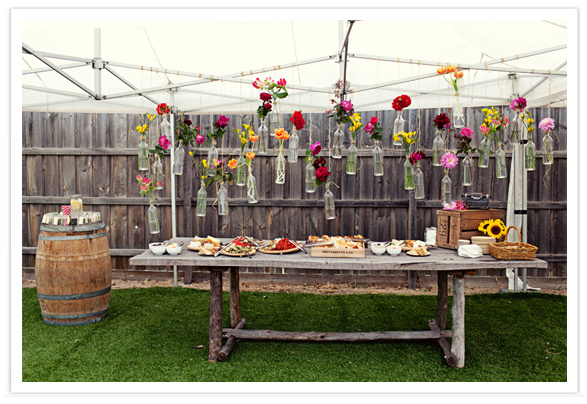 How perfect would this be for an outdoor wedding reception, graduation party, or even an indoor event?! I love the look, and the fact that you can change-up the appearance based on the flowers and foliage you use. You could even hang some bottles from an umbrella and make it a year-round piece. It is simple and beautiful, and inspired by a post on 100 Layer Cake Blog.